The City of Cape Town commenced its exclusion net trial at Fish Hoek beach today, 22 March 2013, in accordance with the permit conditions set out by the National Department of Agriculture, Forestry and Fisheries and the Department of Environmental Affairs. The decision was made to commence the trial today as weather conditions proved to be ideal for the first attempt. Research and monitoring by both the Shark Spotting Programme, as well as the Save Our Seas (SOS) White Shark Research Programme over the last seven years has identified Fish Hoek beach as a primary habitat for White Sharks, particularly during the summer months. Their presence and use of this bay is a natural phenomenon which is set to continue into the future. The high presence of White Sharks within the inshore area in this bay has had a negative impact on the recreational and social use of Fish Hoek beach, as well as social perceptions of the beach. High shark presence at the beach has also had increasingly negative impacts on the local economy and small businesses in the area. This prompted the City to consider the potential for deployment of an exclusion net, which will be undertaken as a trial project. The aim of the trial is to determine the efficacy of the net as a safety measure, to conduct research to understand how the net will react under a variety of weather and sea conditions, and to determine whether the net poses an unacceptable risk to marine life. If successful, the use of an exclusion net at Fish Hoek beach could become a permanent safety measure. The deployment of an exclusion net at Fish Hoek beach will, however, at no time replace the existing Shark Spotting Programme. The Shark Spotters, already operating from Fish Hoek beach and with extensive knowledge of the specific environment and sea conditions, are exceptionally well-placed as an organisation to both commission the production of the net and installation of the net infrastructure, as well as oversee and manage the operation of the net. The Shark Spotters are responsible for the management and research of shark-related issues on the City’s coastline. The implementation of the trial exclusion net and the accompanying research is thus a natural extension of this work. Additionally, they are uniquely placed to determine whether changes need to be made to the setup on a daily basis, and are able to respond rapidly and implement any changes necessary. Accordingly, the City and the Shark Spotters have signed an extension to their existing Memorandum of Agreement which allocates responsibility for the implementation and management of the exclusion net to the Shark Spotters. The Shark Spotters will work closely with City officials and will ensure that the City is consulted throughout the process. This project is globally unique and the City wishes to stress that it is a trial, and there are still many lessons to be learned in the implementation of this project. The public should therefore expect that a number of different configurations and operating procedures will need to be tested in the coming weeks and months, and that procedures, including operating conditions and hours, may change without notice as more is learned about how the net behaves under various weather and sea conditions. The Shark Spotters will make every effort to keep the public informed about these kinds of changes through their website and social media platforms. 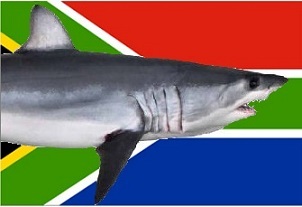 Members of the public can follow the Shark Spotters on Twitter (@SharkSpotters) or Facebook (www.facebook.com/SharkSpotters), or read their blog at http://sharkspotters.org.za/. In order to address the questions and concerns that have been raised by members of the public and media, the following list of frequently asked questions has been compiled. Q. Where will the net be placed? A. The net will be placed in the corner near Jagger’s walk, enclosing the space (approximately) between the City of Cape Town Law Enforcement offices and Jagger’s walk, including the area in front of the Galley Restaurant. It will extend approximately 300 metres out to sea. Q. Will the net be permanently in place? A. No. The net will be deployed and removed on a daily basis. It was determined that leaving the net unsupervised at night would pose an unacceptable risk for entanglement of marine life, such as whales or dolphins. This arrangement will mean that the net is supervised at all times, thus allowing the net to be removed should whales, dolphins, or other animals be deemed to be at risk. Q. How long will the trial last? A. The City has received permission from the National Department of Agriculture, Forestry and Fisheries, and the Department of Environmental Affairs to trial the net under a research permit. This permit is valid until the end of January 2014, after which the programme will be evaluated and a longer term approach developed. Q. What type of netting will be used, and why was the mesh size chosen? A. The net is made of thick HDPE twine, with a small mesh, 45mm X 45mm in size. The mesh is hung “on the flag” i.e. in a square configuration. This mesh size and configuration significantly reduces the risk of entangling large marine animals, as well as small fish. Q. Is the exclusion net like the shark nets in KwaZulu-Natal? Why can’t the KwaZulu-Natal shark nets be used here? A. No, this net is different from the KwaZulu-Natal nets. The shark nets in KwaZulu-Natal are essentially large-meshed gill nets that entangle and catch sharks, reducing the local shark population and thus reducing the risk of shark attack in the vicinity of protected beaches. The City of Cape Town has committed to ensuring that marine life – including sharks – in our coastal waters are protected; nets similar to those used in KwaZulu-Natal would not be acceptable in light of that commitment. Q. How safe will swimming be when the net is deployed? A. It is important to note that the aim of this net is create a safer swimming area. The City of Cape Town cannot guarantee the safety of anyone using the netted area; use of the area will be at the swimmer’s own risk. However, the City is of the opinion that the safety of swimming at Fish Hoek beach will be improved, and that the presence of the net will considerably reduce the risk to swimmers. Q. Will people be able to surf/kayak/body board/operate watercraft within the netted area? A. The netted area will be primarily for the use of swimmers. No motorised or non-motorised watercraft will be allowed within the netted area. Inflatables will be permitted. Body boards will be allowed within the netted area; however at peak times users may be asked to leave if they are posing a risk to other water users in the netted area. Q. What hours/days will the net operate? A. It is intended that the net will ultimately operate according to the same hours as the Shark Spotters, i.e. 07:00 to 18:00 in summer, and 08:00 to 17:00 in winter months. This is to ensure that the net is supervised at all times. This will remain subject to change during the start of the trial period while different configurations and procedures are being tested. Additionally, deployment of the net will always be subject to weather conditions which may necessitate that the net is deployed later than expected or removed earlier than expected each day. It is not possible to determine ahead of time which days the net will operate on and for how long it will operate each day – this decision will be made daily based on weather and sea conditions. However, the net will be available to be deployed every day, and the deployment crew will be on standby daily to ensure this. Q. Will swimmers be required to leave the area if a shark is spotted? A. Initially, the normal provisions of the Shark Spotting Programme will remain in place. If a shark is spotted in the area, the siren will sound and all users within the netted area will be required to leave the water. This is to ensure the safety of the public. This decision will be reviewed at a later stage, after research on the response of sharks to the net has been completed and analysed. Q. Will whales/dolphins/seals/sharks/fish get trapped or entangled in the net? A. The City is taking every step to reduce the risk to marine life. In addition to the small mesh size, and the decision to remove the net at night, the netted area will be under constant supervision by the Shark Spotters. This will allow the Shark Spotters to take action should marine mammals approach too closely to the net, including removing the net, or gently herding the animals with a boat. It is not believed that sharks are at risk of entanglement, due to the small mesh size. It is possible that there may be some entanglement of small fish, but this is not likely. Q. What will the impact of the net be on the trek fishers? A. The trek fishers have been extensively consulted as part of this project. The City believes that the net is not likely to have a significant impact on the ability of the trek fishers to operate in the area. Additionally, the Shark Spotters have contracted the trek fishers to assist with deploying and removing the net on a daily basis, due to their familiarity with the area and their ability in handling nets. The net may be removed at times to facilitate fishing, but will be returned once this is completed. Q. Who will manage the net? A. The Shark Spotters will manage the net for the City. The City has extended its existing Memorandum of Agreement with the Shark Spotters in order to allocate the additional responsibility. Q. Were specialists consulted in the design of the net? A. Yes. A number of experts were consulted, including the KwaZulu-Natal Sharks Board, the National Department of Agriculture, Forestry and Fisheries, and the Department of Environmental Affairs, as well as trek fishers, City engineers, and coastal engineers in the private sector. Q. Has this approach been used anywhere else in the world? A. No. Exclusion nets have been used successfully in Hong Kong and more recently in the Seychelles, however these are fixed nets that are not removed daily. This is a globally unique project that is being monitored by a number of governments around the world – if it proves to be successful, it is possible that it may be replicated in other countries. Q. How will this trial be evaluated? A. The net will be the subject of an ongoing scientific investigation, which will look at a number of aspects, including: Ecosystem impacts and the potential for marine animal entanglements; the logistical viability of daily deployment and retrieval; impacts on the trek net fishers; behaviour of the net under a variety of weather conditions; and public response to the net and use of the area. The decision to continue the operation of the net on a more permanent basis after the trial period has ended will be based on an assessment of these variables, in conjunction with the National Department of Agriculture, Forestry and Fisheries, and the Department of Environmental Affairs.